Inexpensive Mexico Dining Suite in Solid Pine. Durable, versatile and a sure bet. Our simple, sturdy and inexpensive Mexico dining set for four is a great investment for your Mexico home. The low price and charming rustic appeal of this furniture set doesn't stop here. You can customize this piece in a variety of wood finishes to match your Mexican decor. You can upgrade the cushions to Sunbrella fabric in the color and texture of your choice. At this great price, you can use this dining room set to furnish your Mexico vacation properties as well as your Mexican home away from home. 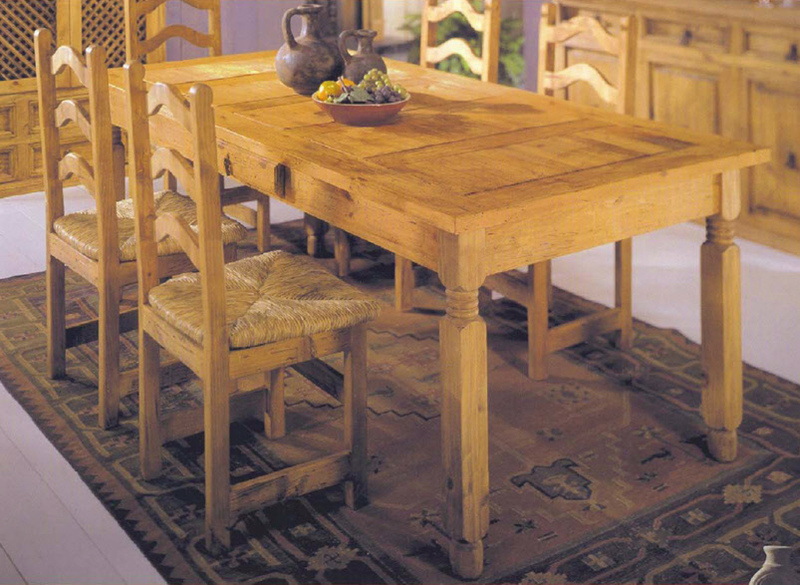 You can even be daring and order this dining suite in our Mexican Beach Cottage finishes. Truly, the price is great, but the upgrades are limitless. Ideal for smaller Mexico dining rooms, Mexico starter homes or condos. Kiln-dried solid pine wood. Includes 4 upholstered chairs. 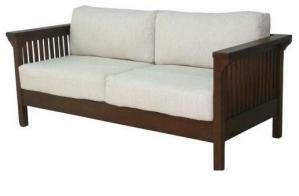 Works beautifully with our Mission Sofa... another great inexpensive Mexico furniture option.